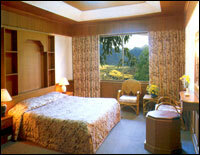 The Pailyn, a first class luxury hotel is located 4 km. from the National Historical Park, and 8 km. from the town center. 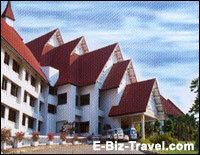 Pailyn Hotel a building for the fine architecture gives a stunning view of the Khaoluang Mountain. Pailyn is a place where you can touch nature. 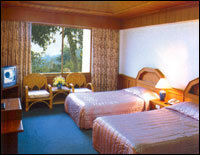 We have a grand luxury hall, and comfortable prestige rooms and all the facilities you desire. Taste our delicious dishes. Listen to music sang by our beautiful singers in the "Trapangthong Coffee House". 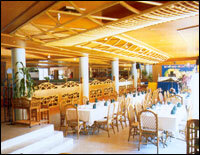 At our elegant "Supankanlaya Restaurant", you can enjoy Thai, Chinese or European food prepared by our experienced Chef. Night life lovers will find our pub a friendly corner filled with the relaxing sounds of live music. For those who like to dance, there are plenty of good times to be had in our Beer garden. 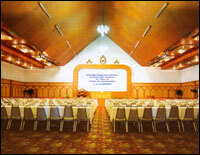 We also have five fully equiped conference rooms, ranging from a capacity of fifty to a thousand people. They are named "Sukhothai, Srisatchanalai, Srinakorn, Srisamrong and Sawankalok". You can enjoy all kinds of activities. Take a dive in our swimming pool, relax in our sauna, experience a traditional Thai massage, enjoy our barber shop or beauty salon and have a drink in our beautiful garden. 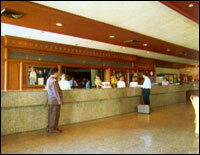 Click here to enjoy our Special Rate for Other Hotels in Thailand. To get directions to the hotel's map and to print out for Hotel's Address.